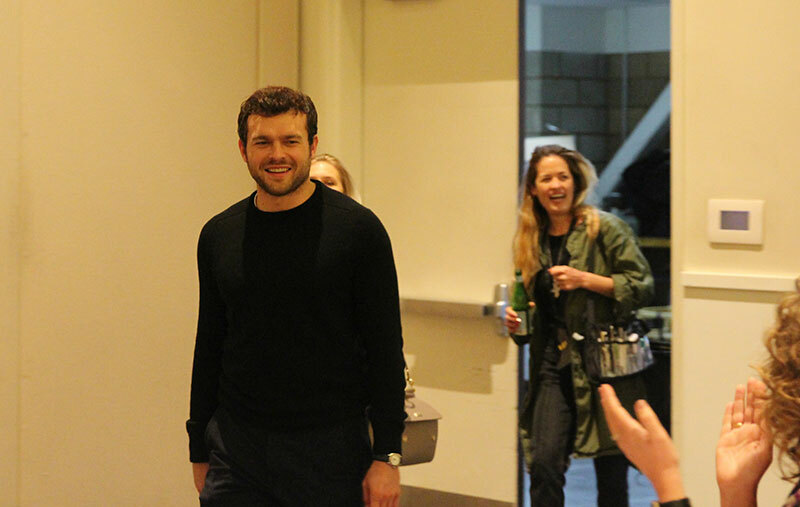 Alden Ehrenreich, who plays the young Han Solo in Solo: A Star Wars Story, entered the room in a daze which is exactly how he described himself to us. See, he had just been in the middle of another interview when Harrison Ford, a more experienced Han Solo, came up from behind to surprise him. He said it was wonderful and that he hadn’t actually spoke to him since they’d grabbed lunch before they started shooting the movie. It was really important for Alden to make the young Han Solo feel like a real person. He wanted us to feel a kind of continuity that you could grow into the older Han Solo as everyone knows. Watching the all of the original movies early on was important for Alden so he could absorb as much of that as he could so that when it came time to act in the scenes he wouldn’t be thinking a lot about it. 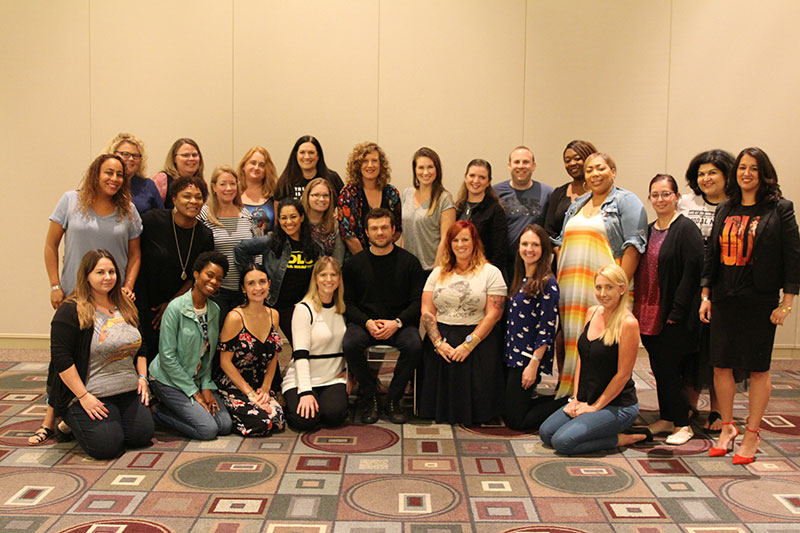 After seeing and talking with Harrison Ford about the movie, Alden said Harrison told him he thought it was awesome and he thought it worked like gangbusters! Harrison told Alden he’s going to make hundreds and hundreds of dollars. Haha! I would have loved to have been sitting in on that conversation! Alden said it was so mind blowing when he learned he had gotten the part. He said he was in a daze like he was when he came in after being surprised by Harrison Ford. He honestly couldn’t believe it when he got the part of the young Han Solo. It was so thrilling and exciting. After he told his family and friends, he went to the beach by himself at the Santa Monica Pier to celebrate. He walked around for a while and then rode the roller coaster by himself. After starring in this movie he won’t be doing that without a mob of fans! One of Alden’s favorite parts of shooting the movie was flying the ship. 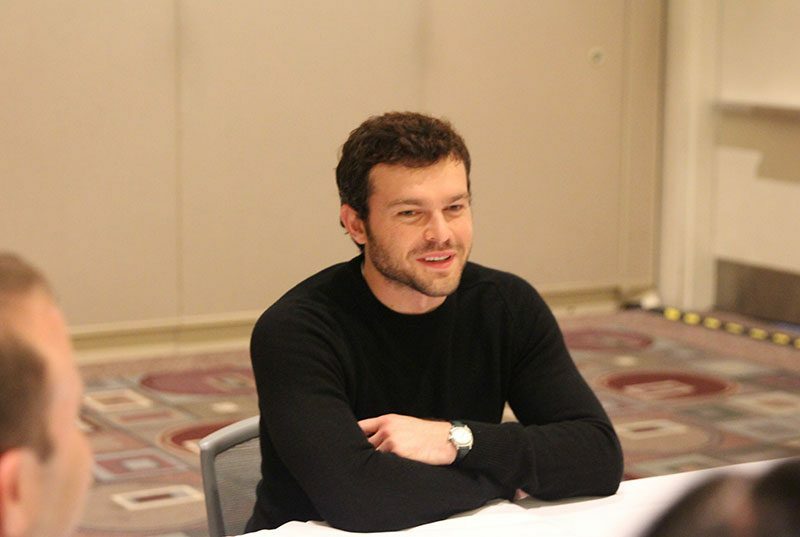 It was really cool and fun for him because once he sit down in the Millennium Falcon it was really surreal. He couldn’t believe he was there. After being in it for a few months he was able to really learn all the buttons and it felt like it was really his. Alden was able to really concentrate on each task at hand and poured his energy into the character. 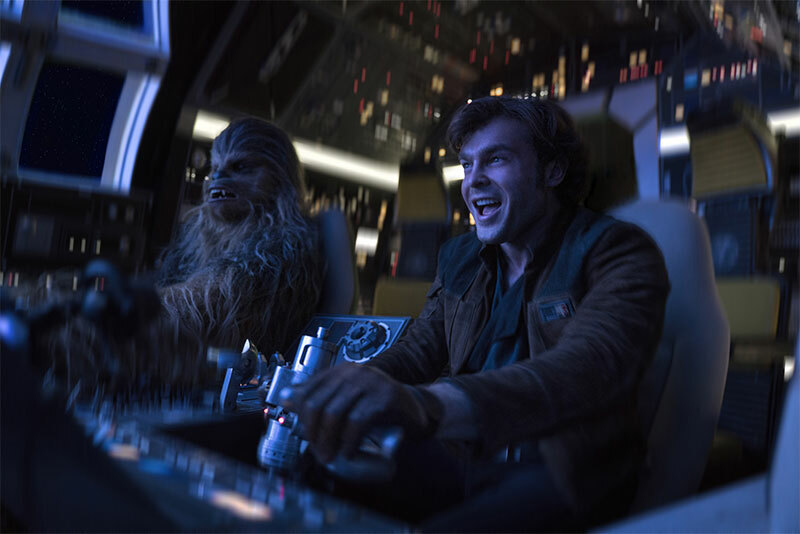 Han and Chewy have such a great camaraderie in the movie. Alden said him and Joonas Suotamo (Chewbacca) spent a lot of time together training. Once you see the movie you’ll see that the scene when they met would take a lot of time to shoot. It’s such an incredible and action-packed scene! 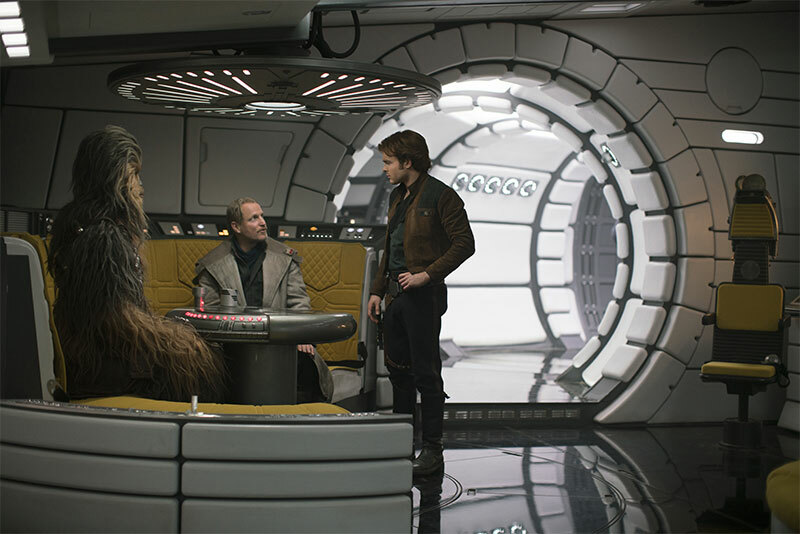 The scene when Chewy and Han meet was one of Alden’s favorites. They spent a lot of time hanging out, doing stunt training and boxing before the other cast members ever arrived. Plus, they played video games together at the hotel! Alden said a favorite game for the two was Halo. Alden laughed about Joonas’ bed because he had one bed with another bed at the end horizontally. He is seven feet tall so I can see why that might be needed! Alden said Joonas went to film school and is absolutely perfect for playing the part of Chewy. It’s so great when actors and build lasting friendships. Alden is a big fan of Emilia Clarke’s (yep, the mother of dragons) but admitted that he hasn’t yet seen Game of Thrones. You know, a little show most of us know very well. 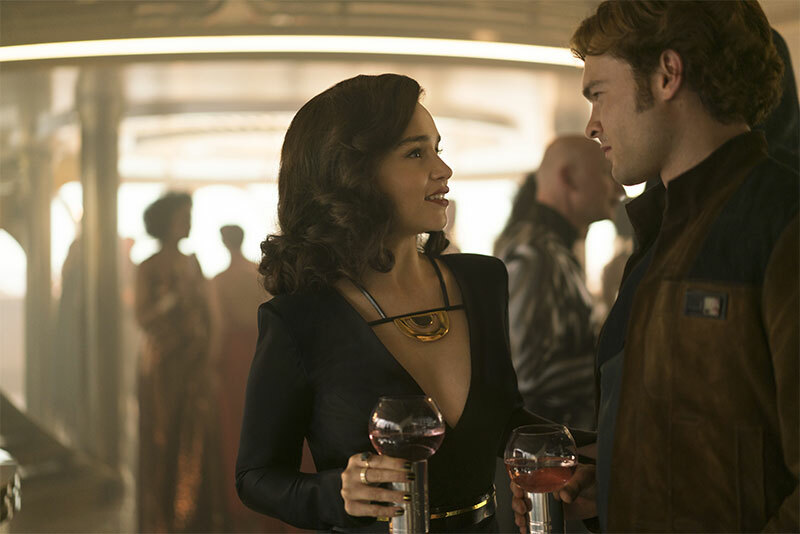 Emilia plays Qi’ra in Solo: A Star Wars Story. Alden said Emilia is really wonderful, incredibly talented and sweet as could be. She even brought baked goods for the whole crew every single Monday. He said they spent a lot of time together and had a blast. He was very grateful to get to have the partnership with her. 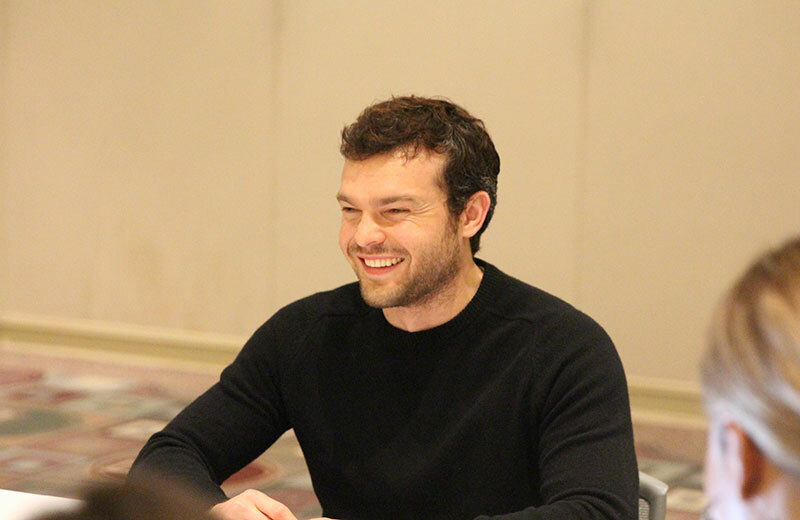 Alden said his favorite Star Wars film is Empire Strikes Back mainly because he really likes Yoda. It has so much real wisdom in it with a deep philosophical background that’s put into terms that are so clear and communicable to so many people. And it’s just cool. The Empire Strikes Back doesn’t have the joy of an opening or the joy of a conclusion which Alden finds interesting. He saw his first Star Wars movie when he was five on VHS. I remember those days! He had all the toys and action figures so he could pretend play. 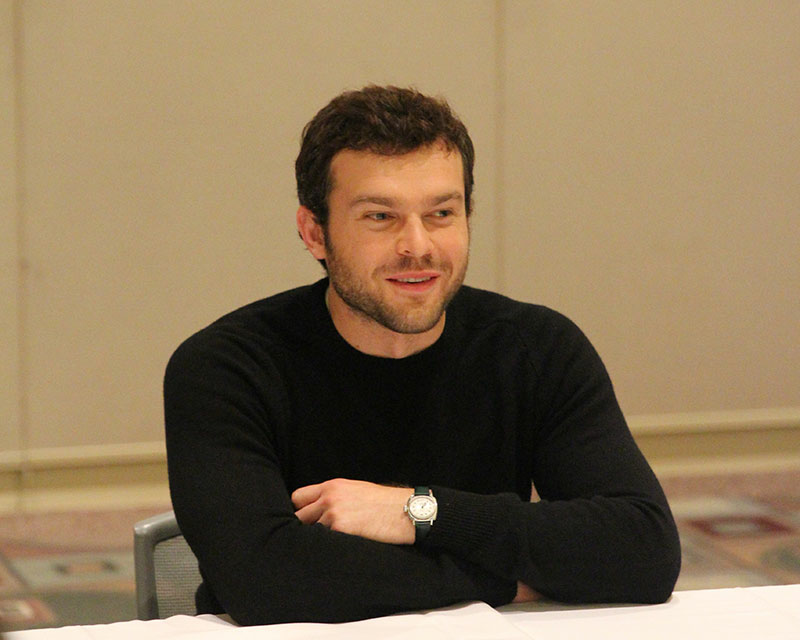 When he went to do his screen test on the Millennium Falcon for the movie it all felt so familiar to him just from imagining it as a kid which definitely put him more at ease. I had read in a magazine that Alden reads a book a day. I asked him and he laughed saying that Ron had said that but he does read a lot. His favorite book ever is the Marilynne Robinson’s Gilead trilogy. He also loves The Art of Fielding, Infinite Jest and East of Eden. Alden said the night of the premiere of Solo: A Star Wars Story was a very memorable night for his family. His mom, nana, nieces and nephews, among others, got to experience Alden’s world premiere who was now a part of one of the biggest movie franchises of all time. Alden said it was really cute because they even stayed up late trying to film their own Star Wars movie with their iPhones and light sabers. 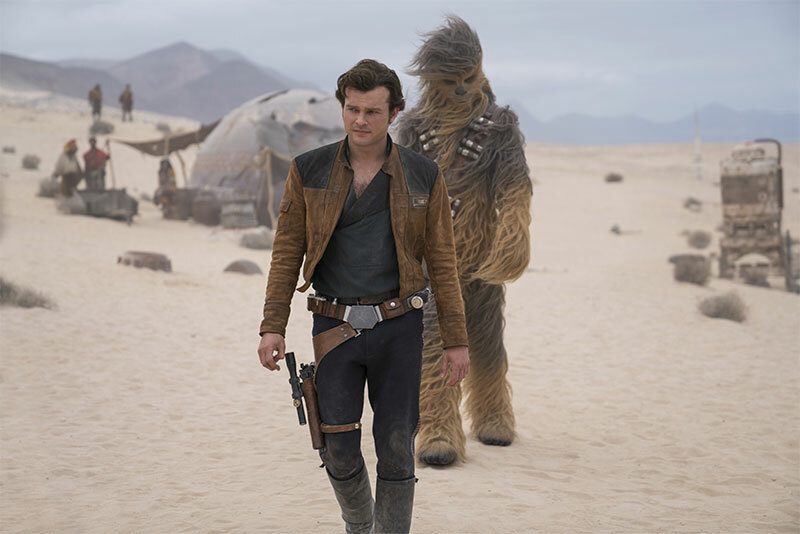 Be sure to check out my Solo: A Star Wars Story World Premiere & Red Carpet Experience to learn more about the big night! Alden’s family couldn’t stop talking about the movie. They were all so excited! I am excited about it too! 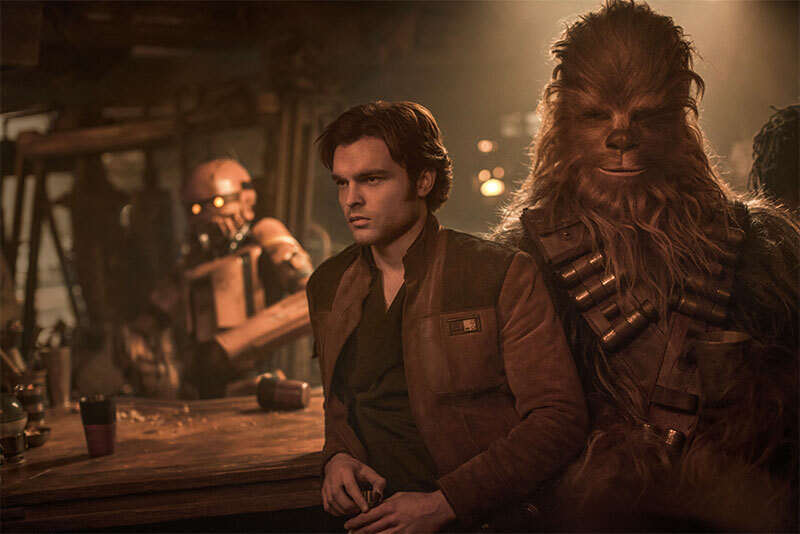 Here’s my review of the movie – Solo: A Star Wars Story Movie Review – Am I a Star Wars Fan?.